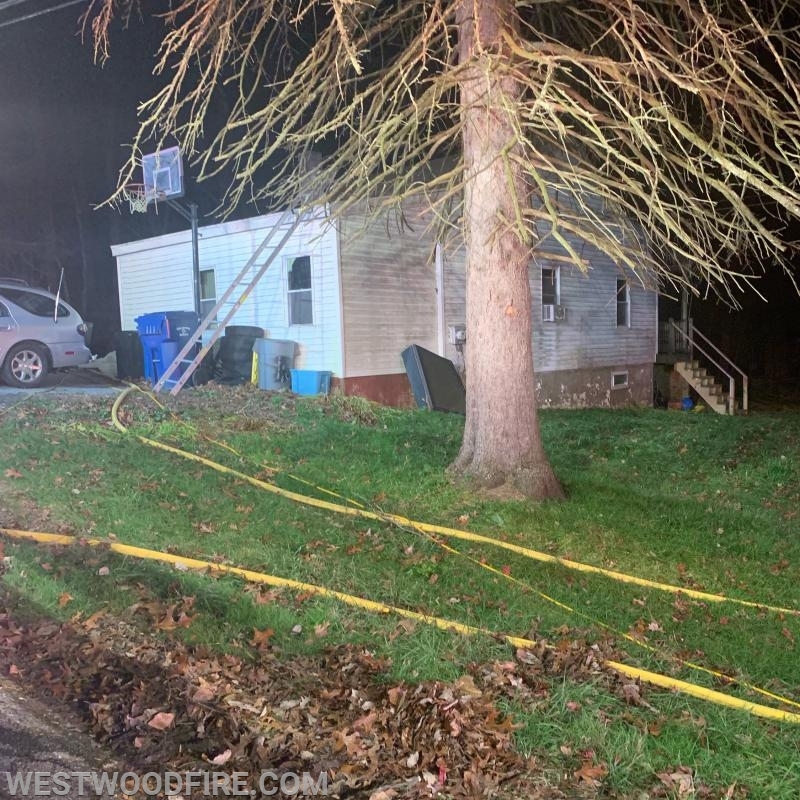 On November 22nd, 2018 the Westwood Fire Company was dispatched to the unit block of Ridge Avenue across street of Pine Street in the Westwood section of Valley Township for smoke in the dwelling. 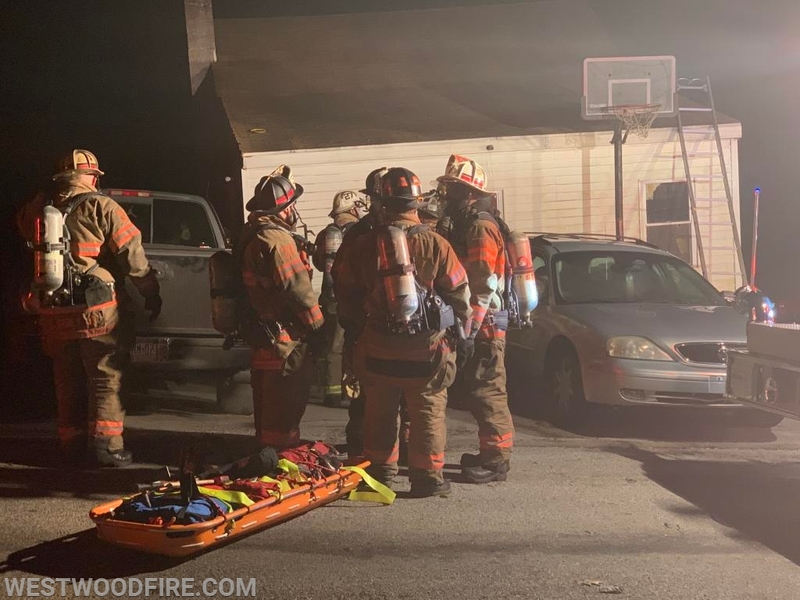 The call came into 911 around 00:47 and the caller indicated there was a smoldering fire in their walls that they had been trying to extinguish with a hose for the past 90 minutes. They were giving up and evacuating. 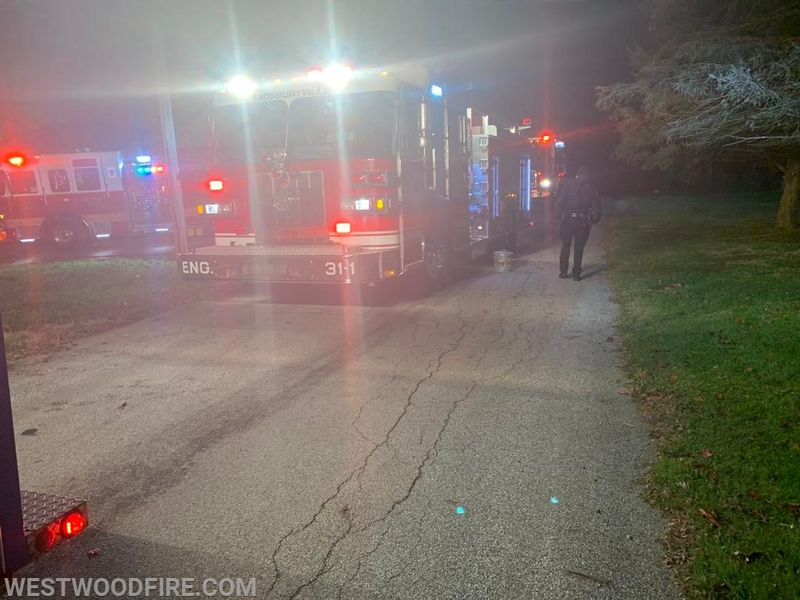 Additional fire companies were also dispatched as part of the 1st alarm structure assignment including the Sadsburyville Fire Company for an engine, Modena Fire Company for the rapid intervention team and the Cochranville Fire Company for a tanker. All 1st alarm assignment units were on the street within 6 minutes of being dispatched. Fire Chief McWilliams arrived first at 00:51 and reported fire in the walls and established the Ridge Avenue Command. All fire ground operations were switched to FD-1. Engine 44-5 arrived first due at 00:55 and took position in the front of the 1 story structure. Firefighters deployed an attack line to the structure and prepared to make entry. Once inside firefighters determined there was fire spreading from the basement into the first floor. Engine 31-1 arrived next and backed up the initial crews, splitting and conducting a primary and secondary search of the dwelling. All occupants were thankfully accounted for. 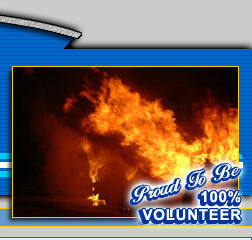 The fire was quickly contained and placed under control 01:13. Engine 37-2 established the RIT assignment on the front side of the structure. Tanker 27 supplied more water if needed and manpower from Engine 27-2. FM 101 and FM 104, from the Chester County Fire Marshal's Office, also made the response to investigate the cause of the fire. One line was in service to extinguish the fire located in the structure. Additional manpower from Modena and Cochranville. Mutual aid apparatus staged along Ridge Avenue.